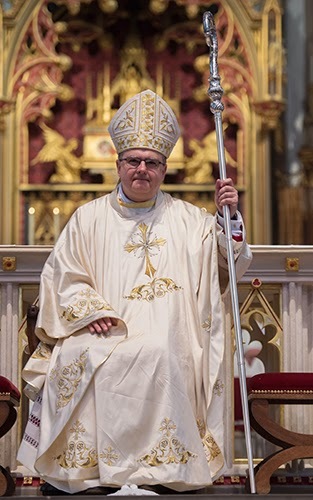 “I am delighted to welcome Bishop Byrne as my successor at a time of great challenge and hope in this Diocese. The Lord Jesus is leading us along a road of rich discernment for the future of the Church and its mission. I know that the priests, deacons, religious and people of the Diocese will warmly welcome him and assure him of our prayers. May the Lord bless his ministry among us. We commend him to Mary the Mother of God, St Cuthbert and all the saints of our Diocese. Bishop Robert Byrne’s Episcopal Installation will be celebrated in St Mary’s Cathedral, Newcastle, on Monday 25 March. 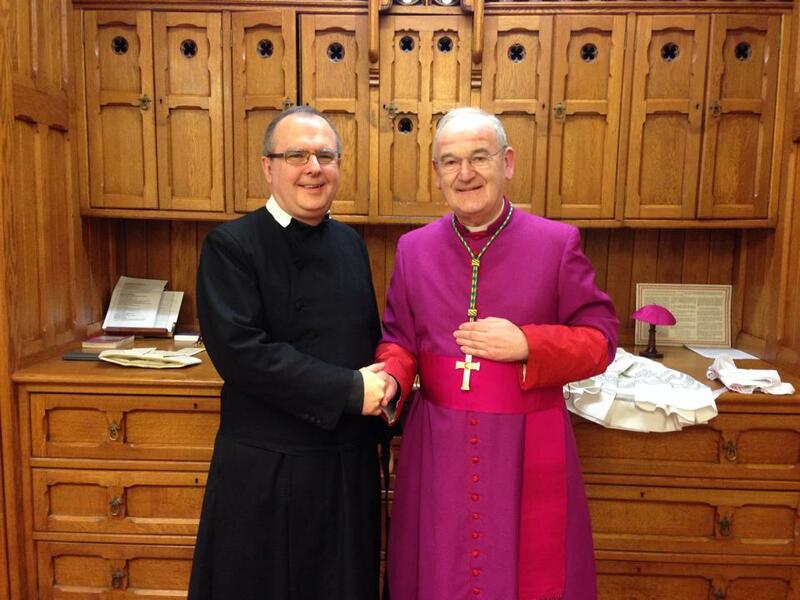 Bishop Robert is no stranger to the Archdiocese of Cardiff having visited in 2014 as then Fr. Robert Byrne to preach at the Ecumenical Vespers for Christian Unity held at St. David’s Cathedral. Archbishop George Stack is pictured with Bishop Byrne at that event.